Manila- Philippines- Out of 30 applications, five startups are shortlisted to vie for a spot to represent the Philippines in Israel at Start Jerusalem event this November. Enguest; JazzyPay; MachiBox Inc.; Teratomo Corporation and Wela School Systems will present their pitch on Monday, October 9, 2017 at QBO Innovation Hub, DTI International Bldg., Makati City. Top 5 finalists include: Enguest transforms guests into hotel influencers thru their Guest Experience Management and Rewards App that improves overall guest service and experience. JazzyPay, a web and mobile payment solution for business specific audience like Overseas Filipino Workers so they can remit payments directly to schools and hospitals using credit card, debit card and PayPal. MachiBox, a company that provides a platform for users to learn robotics without going through the hassle of gathering resources for one to learn mechanics, learn programming, and building a robot from scratch. Teratomo, a technology company that provides solutions for business process automation, smart manufacturing, remote data capture and digitalization, and analytics. Wela School Systems, an EdTech Startup offers their flagship product a cloud based grading platform that improves faculty productivity by automating their academic reports and lessening spreadsheets. The finalists will present their pitch to a panel of judges composed of His Excellency Effie Ben Matityau, Ambassador of Israel in the Philippines, Itamar Gero, President of Israel Chamber of Commerce of the Philippines (ICCP), David Elefant, VP for External Affairs of ICCP, Sagiv Massad, Director of ICCP, Rafaelita Aldaba, Assistant Secretary, Industry Development and Trade Policy Group (IDTPG), Department of Trade and Industry and Dr. Leah Buendia, Assistant Secretary for International Cooperation, Department of Science and Technology. 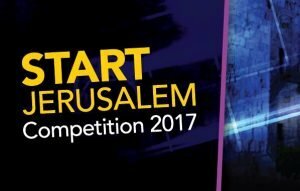 A representative from the winning startup will travel to Israel to participate at the Start Jerusalem on November 5-11 in Jerusalem, Israel. Founders from around the globe will take part in a “boostcamp” with workshops and sessions designed to take their product or solution to the next level. These include interactive chats and panels, specially designed ‘how-to’ workshops, visits to leading companies and exclusive networking meet-ups with the city’s startup community.